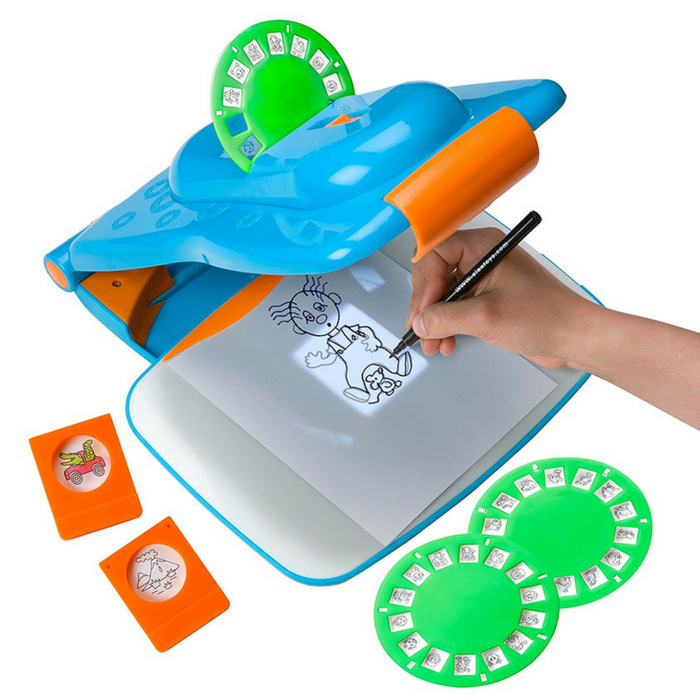 ALEX Toys Draw Like A Pro Just $14.67! Down From $53! You are here: Home / Great Deals / Amazon Deals / ALEX Toys Draw Like A Pro Just $14.67! Down From $53! Amazon has this ALEX Toys Draw Like A Pro on sale for just $14.67 down from $53 PLUS FREE shipping with Amazon Prime or for orders $25 and above! ALEX Toys Artist Studio Draw Like A Pro is a fun and easy way to draw! Just turn down the lights, switch on the projector, insert a preprinted slide and trace away. Mix and match heads and bodies to create characters, tilt the light forwards and backwards to change the size of the projected image to make wacky proportions, draw a scene by tracing different elements from the scene slides or move your paper left and right to combine a volcano, dinos and plants to make a prehistoric scene. There is even a wheel of slides so that you can make your own flip book with precut pages and a flip book clip. Store all your slides and supplies in the built in drawer inside the machine. It also folds up for travel and easy storage for the artist on the go!